When I was at the conference last week someone told be that the publishing industry had learned from the mistakes of the recording industry and that publishers wouldn't follow the same route of alienating readers. Today I have the misfortune to report that at least one publisher haven't learned anything. John Wiley, a technical and educational publisher, filed suit in federal court last week against 27 John Doe ebook pirates (PDF). These dastardly villains were all caught using a bittorrent client to pirate a Wiley "For Dummies" ebook on 18 and 19 October 2011. Let's hope they get the electric chair. This suit is laughable on multiple levels. Where shall I begin? First, the cover at right belongs to a real book published by Wiley, which is itself worthy of comment about being hoist by their own petard. But I digress. Let me cover the obvious lunacy in the filing. Wiley's lawyers are claiming thatn"the amount of lost revenues is enormous". Really? I don't see how the current situation can be all that bad; it was only last month that Wiley reported that ebook sales had tripled and now accounted for 11% of revenues. Just think, if not for the pirates, ebook sales might have quadrupled! Or More! TBH, their total revenues were down a fraction of a percent last quarter (press release), but that was by no means dire. Their revenues were up 4% at the end of last fiscal year. They're not suffering, by any measure. I could go on to ridicule the rest of the filing (there is some excellent hyperbole in need of deflating), but I will not. It's actually simpler to criticize the very principle of suing individual pirates. My position on fighting piracy is simple, and I have said it before. Only fight piracy in ways that allow you to turn a pirate into a customer. If you're not going to make money off the expense of fighting piracy then it's not worth fighting. But even if these pirates are made to pay, the PR damage might outweigh any financial gain. The RIAA have filed so many piracy lawsuits that the very concept is subject to ridicule. The RIAA have made themselves a joke for the failed efforts to thwart piracy by suing single pirates. And yes, even the RIAA decided that this lawsuit is a waste of time. That's why they stopped. Wiley are going to bring that label upon themselves. 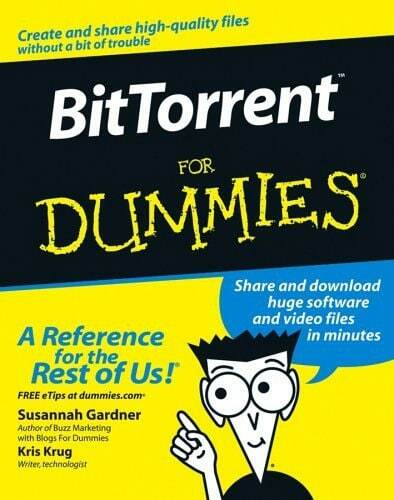 What's worse is that they are going to show themselves to be people who didn't think this through, and that they don't really understand the technical or cultural details of bittorrent. Wiley either don't know or don't care that this type of lawsuit is ineffective. And the cherry on top is that Wiley are a technical publisher; many of their customers do understand these details. A lot of us are going to snicker at Wiley as this lawsuit progresses. For more ebook news, subscribe to the RSS feed or the daily email newsletter. You can also follow me on Twitter: @thDigitalReader or find me on FaceBook. What Should We Do About Student’s Backpacks Being Weighed Down by Heavy Ebooks? /On a serious note, think I should pitch Wiley about how to go survive through discovery while going pro se in a federal infringement proceeding? ‘Cuz that’d be a fun book. Now, I decided a few days ago that I’ve forgotten the Calculus that I learned at University, and I want to refresh. I decided to get an e-book of a Calculus text (Anton or Stewart; Anton is published by Wiley), and went online, credit card in hand. No dice! They’re not available for Kindle or any other sensible format. I did find one of them in a proprietary reader format, but it’s not available for Android (the website helpfully says that Android customers can just read the book in the browser on their device. And we know how satisfying that would be). A momentary search on google reveals any number of sites with PDFs of the books for download. Does Wiley wonder why piracy happens?